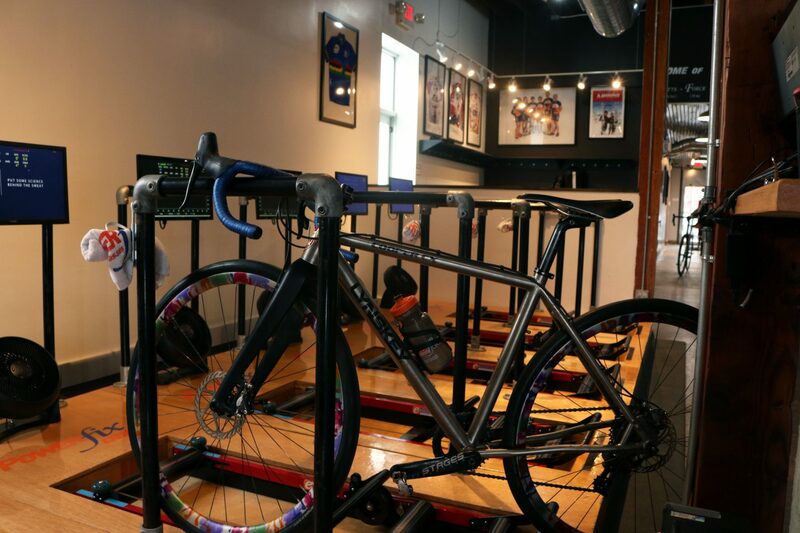 The Fix Studio is a fun and engaging workout studio that works with runners and also cyclists. The Fix has been open since 2003 but in the Longfellow neighborhood since May 2010. Larry and his wife Sophie thought there was a need for a unique studio in the Twin Cities, there is nowhere in the country that has the high tech equipment and high level of expertise that Larry and Sophie have. Larry had trained Olympic athletes from 1998-2008. Sophie was also a professional athlete and has been training since around the same time. Come on in and check out The Fix Studio! They are engaged, fun and supportive people that can make you a better athlete. And on tap…with a Mary Tyler in front of the wine taps!